The two brothers join at the foot of the guillotine with their parents and the people of their neighborhood for the day’s executions. There are three carts of condemned and Sanson, the executioner, is renowned for his skill and speed. There is excitement and anticipation in the air. In the richly depicted revolutionary France of Adriana Renescu’s latest novel, this is a routine occurrence in Paris. Death sentences are mundane and there is no appeal. The story begins on a cold autumn morning in 1793. While fourteen-year-old Antoine Jardout is inexplicably apprehensive on this day, his ten-year-old brother, Sebastién, is excited to see who will be killed at the Place de la Revolution. This day does not seem to be different from any other for the two brothers, but the brutal events they experience will set them on separate, irreconcilable paths. Under the control of a tyrannical father and a cold mother, the two will find themselves in conflict with each other. As the Reign of Terror unfolds and the chaos continues, both will have to decide what is worth sacrificing for their survival and happiness. 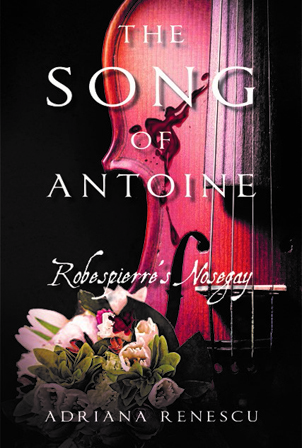 Can Antoine and Sebastién ever return to the life they shared that fateful morning, or will secrets and betrayals tear them apart forever? Murder, intrigue, and the fall of Romanian Communism erupt in the thrilling new novel The Wolves of Pavlava. When mystic and visionary Mother Ierusalima of Pavlava is murdered, the Communists are in control of Romania. She’s forgotten until thirty years later, when, as the balance of power in Romania is becoming dangerously unstable, two very different groups want her considered for sainthood. The secrets and ambitions of two men, two natural enemies, converge to make them unlikely allies. Filled with plot twists and turns on every page, The Wolves of Pavlava explores the dark heart of tyranny and the unquenchable human thirst to break its shackles. Powerful and thought-provoking, filled with larger than size characters, The Wolves of Pavlava is a thinking person’s thriller. 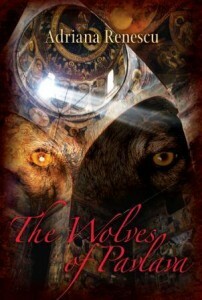 Read an excerpt of The Wolves of Pavlava here. In this dramatic page turner built around powerful, morally complex characters, Adriana Renescu takes the reader across continents, from the Carpathians to the Andes, from Berlin to San Francisco, from Buenos Aires to Rome. THE DEATH OF RAFAEL tells the story of opposing destinies caught in a web of guilt and secrets. 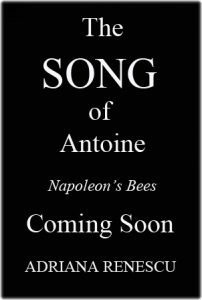 This is a tale of loss and heartbreak, fear and despair, and ultimately hope and redemption. Read an excerpt of The Death of Rafael here.